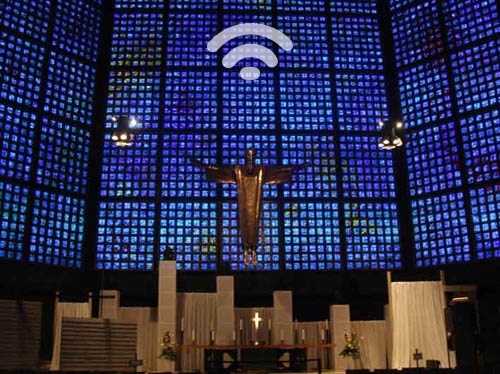 German churches offer free Wi-Fi via "Godspots"
The majority of protestant churches in eastern Germany will be getting access to the free Wi-Fi via hotspots called “Godspots”, by next year. In honor of the 500th anniversary of German theologist Martin Luther’s Reformation, the Berlin-Brandenburg-Silesian Oberlausitz (EKBO) church introduced a project for the expansion of Wi-Fi coverage in churches throughout eastern Germany. The project has been rolled out to 220 churches of Berlin, and 3,000 more will be getting “Godspots” by May 2017. Wi-Fi can be used both inside and outside the buildings. Before accessing the internet, information about the church, its community and topics of faith and life is shared with users before enabling them to freely surf the internet. Despite the fact that Germany is the world’s fourth largest economy, it does not keep up with other European countries when it comes to public Wi-Fi. The reason why Germany lags behind is due to its “Störerhaftung” laws designed to protect intellectual property from unlawful online activities. “Störerhaftung” has been disputed for years and it is highly probable that the government willl eventually ease its strict Wi-Fi liability laws. Nevertheless, EKBO has managed to spread Wi-Fi in churches throughout Germany and will complete installations by May 2017.